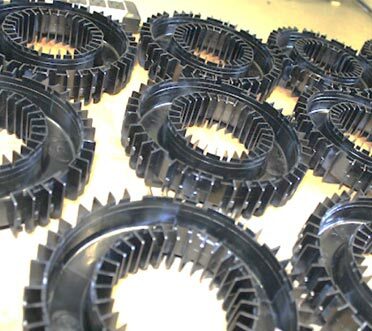 HyComp has over 30 years of experience working with high temperature engineered thermoplastics and specializes in short to moderate run parts for Aerospace and Industrial customers. We have a full range of machines from 25-200 tons featuring computer controls, computer controlled heating, and material auto loaders for the most precise control. With over 30 years of experience, HyComp manufactures custom compression and transfer molded thermoset and thermoplastic parts for various industries. Our advanced equipment in this area allows us to mold a wide variety of custom shapes, stock plates, and custom bushings. We have a full range of machines from 25-500 tons with temperature process capabilities exceeding 700°F. 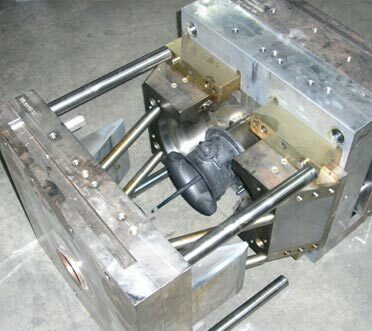 HyComp has a full service mold design and a tool room dedicated to producing prototype or production tooling. We have extensive knowledge in designing multi-cavity tooling for compression molded parts in a wide variety of thermoset materials. We routinely mold parts from materials commercially available from Quantum Composites, Cytec Engineered Materials, Henkel, Sumitomo, and IDI. 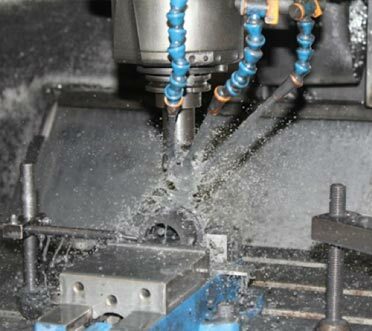 HyComp offers longstanding experience in technical and complex manufacturing solutions including precision CNC machining and CNC turning services. As a leader in using state of the art practices and systems, HyComp supports our customer’s needs to the most precise tolerances. Surface grinding up to 20" x 40"
We have created a dedicated assembly department with improved capability to expand our product offering and meet our customer’s expectations. Our ability to produce the next level sub-assembly helps control costs and reduces supply chain management. HyComp is a fully accredited ISO9001 & AS9100C facility. In addition, we have implemented a fully operational Quality Clinic as part of a pro-active philosophy to our corrective action process and continuous improvement efforts. Our full service capabilities include in-process verification to control variation including SPC. Our in-house equipment includes CMM capabilities, optical comparators, height gages, as well as precision hand gages. HyComp's desire to be considered a world class, value-added member of our customers’ supply chain requires a solution-driven culture in all aspects of our business. Meeting and exceeding customer expectations can only be achieved by offering both internal and external solutions for the challenges we encounter while driving performance. A company culture that allows employees to transform these challenges into opportunities is critical for success. Over time, HyComp has developed experience providing solutions through the following customer driven initiatives. The HyComp Product Development team is dedicated to developing new projects that meet both internal and customer standards during part qualification. This group manages new parts from concept to production, implementing full part qualification per industry, and customer requirements. Our commitment is to develop repeatable and reliable processes that produce high quality products on time and in a cost effective manner. The Product Development team is capable of full life-cycle development for all manufacturing scenarios from prototype to production. 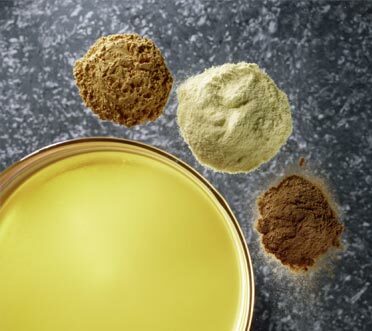 Our engineers will work concurrently with yours to assist in all phases of the product development process. HyComp has an extensive inventory of stock shape tooling that can be used for prototype purposes by molding near-net components. 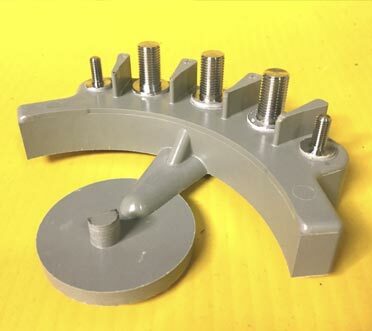 We also have the capability to machine prototype parts from stock shapes, while finalizing molded part design or mold tool production. Over the years HyComp has created a diverse catalogue of applications in various industries using engineered thermoplastics and thermoset composites. If you're current application doesn’t fall into one of our thousands of applications on record, we’ll work concurrently with your engineering team to design a solution that fits your needs. Whether you're trying to reduce your supply base, find yourself in a single source position or, worst case scenario, lose your only source, HyComp can help. We have successfully implemented a variety of vendor consolidation scenarios for customers in order to help them meet their goals. 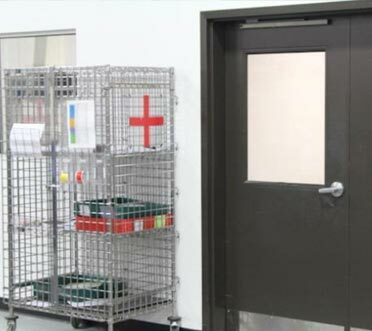 Our dedicated tool room is capable of accepting and refurbishing mold tools transferred from other suppliers. Weight reduction is typically the primary motivation to convert a part design from metal to plastic. HyComp is capable of working concurrently with your engineering group through material selection and part design optimization to offer a cost effective solution. 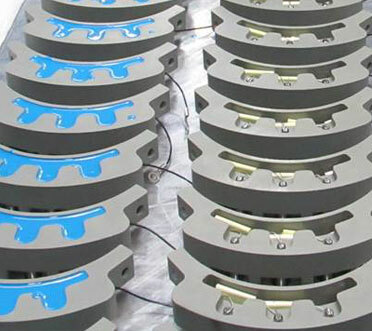 Cost reduction can also be realized depending on the application and part design by molding as many features as tolerance and design allow. Cost reduction is typically the primary reason driving the need to convert a part design from a stock shape to a molded version. Part volume plays a large role, but in some cases a molded version (even with a mold tool investment) can be cost effective over time. HyComp has helped customers yield cost reduction by identifying opportunities for this type of transition. 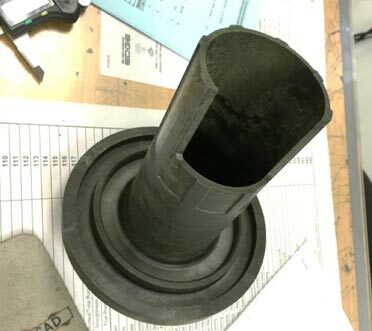 We have an in-house lab that performs material testing using an Instron machine, as well as customer specified destructive and non-destructive testing as required. This machine lets us physically test materials to ensure they meet all customer requirements. 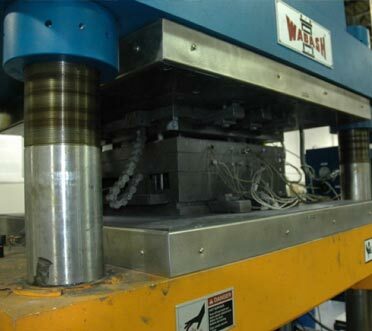 We are capable of performing tensile, flexural, and compression strength ASTM testing, as well as specific gravity in-house. 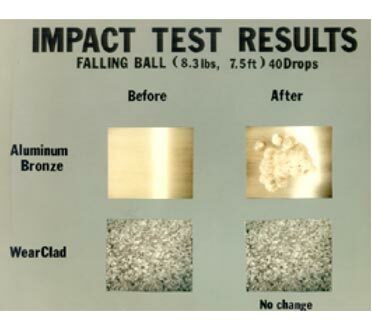 HyComp also has relationships with several test houses capable of full life cycle, raw material, and part acceptance (destructive and non-destructive) testing as required. 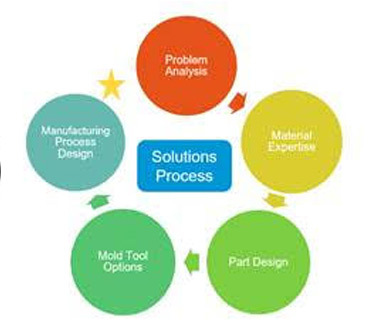 HyComp's capabilities in this area include extensive knowledge of injection, compression & transfer mold tool design. Using Solid Works-Solid Modeling and AutoCAD-Mechanical 2017 along with a dedicated tool shop for manufacturing, HyComp has experience with designing and manufacturing a variety of single and multi-cavity mold tools with features including; hot runners, hand-loaded and automatic slides, insert hand-loads, as well as manual and automatic part ejection. Our dedicated tool room and trusted network of tool and die makers gives us the ability to repair tools and build fixtures to meet short lead times. Innovation in material technology is constantly pushing the envelope for the use of engineered thermoplastics and thermoset composite materials. HyComp recognizes this trend and actively participates by identifying customer and industry needs, while partnering with others to facilitate valuable solutions. We have longstanding relationships with raw material suppliers, non-profit, and industry recognized organizations that drive this collaboration.